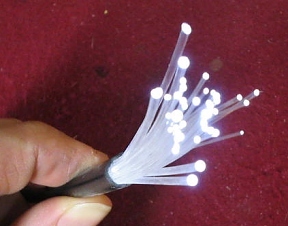 Our Endglow or EG cable consist of a .75mm Plastic Fiber, the number after EG indicates the number of fibers in the cable. The Jacket is a Green or Black PVC to protect from UV and the elements. All cables are priced per ft. Once the cable is cut YOU OWN IT! We do not resale used cables. 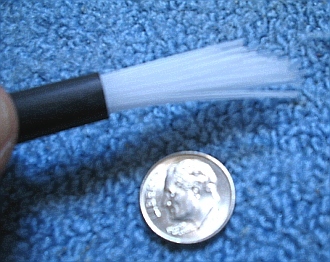 This cable is used for Start Ceilings, curtains, and signs! See installation guide for examples. 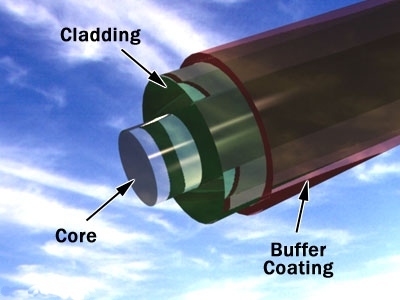 ALL Endglow cables are sheathed with a protective jacketing which is has a UV Stabilizer, Fungicide, & Algaside protection to the Jacket. All Cables now have Fire Resistant !! We are the ONLY company adding this to our cables now. NOTE: We do not sell Star Ceiling KITS! But will sell the needed materials to do the Job. Each room and project is different, we custom tell you what you will need for the projects so there is no wasted fiber or cable. !! When you select 1 then you ordered 1 Ft, when you select 100 then you ordered 100 ft. OK !!!! 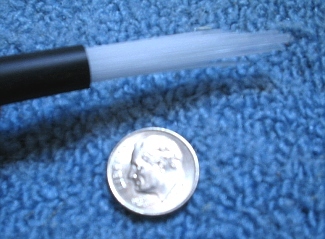 Min order is 500-1000 ft.
Our Endglow Solid Cables are made from a Poly-Rubber Plastic. 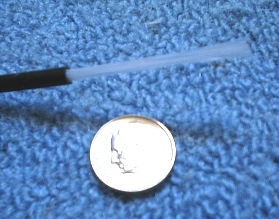 The Cable has a Black PVC and clear Teflon jacket surrounding the core. This cable is perfect for Solar Lighting applications, and Light Piping to larger areas needing more light! Prices are per ft. we ask for a min 5 ft order but will let it slide if need be! Sizes will vary during extrusion process. Copyright © 1998-2017Fiber Optic Products, Inc.